Audience/Genre: New Adult, Dark Romance. Publication: February 2nd 2015 by Lakehouse Press, Inc. The truth shall set you free. My name is Calla Price and I’m drowning. My new world is a dark, dark ocean and I’m being pulled under by secrets. Can I trust anyone? I don’t know anymore. The lies are spirals. They twist and turn, binding me with their thorns and serpentine tongues. And just when I think I have it figured out, everything is pulled out from under me. I’m entangled in the darkness. But the truth will set me free. It’s just ahead of me, so close I can touch it. But even though it shines and glimmers, it has glistening fangs and I know it will shred me. You loved Courtney Cole's NOCTE in all it's dark, twisted, spellbinding, messed-up awesomeness. You can't wait until VERUM (Nocte Trilogy Book 2) releases in February 2015. And now Courtney Cole is going to release an exclusive VERUM excerpt...but only if we can get it to the top 1000 on Amazon! 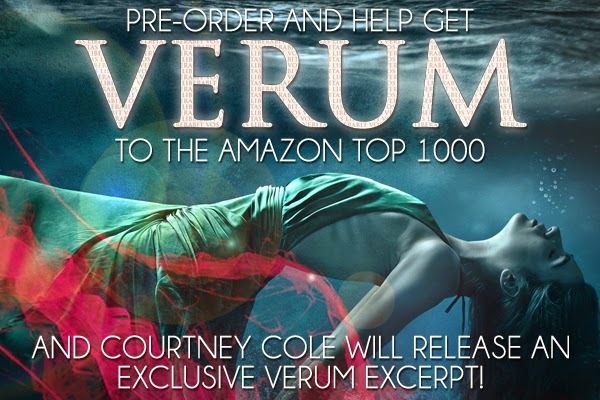 All you have to do is go to Amazon and pre-order VERUM right now.Go, pre-order, and get all your NOCTE-obsessed friends to pre-order, too. 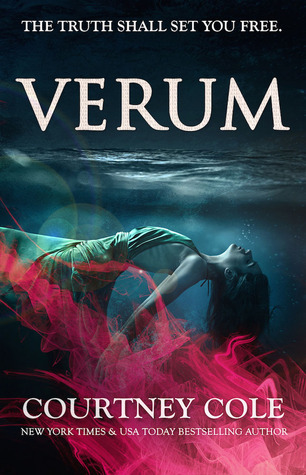 If enough people do it, VERUM will climb up the ranks, and we'll get a sneak peek at the follow-up to what's being called "a haunting psychological suspense" and "the rare kind of story that leaves permanent marks on your heart and your soul." Courtney Cole is a New York Times and USA Today bestselling novelist who would eat mythology for breakfast if she could. She has a degree in Business, but has since discovered that corporate America is not nearly as fun to live in as fictional worlds. Courtney was born and raised in rural Kansas, but has since migrated south. She now lives in Florida and writes beneath palm trees.